Webtrends provides web, social and mobile analytics and a number of other software solutions related to digital marketing. 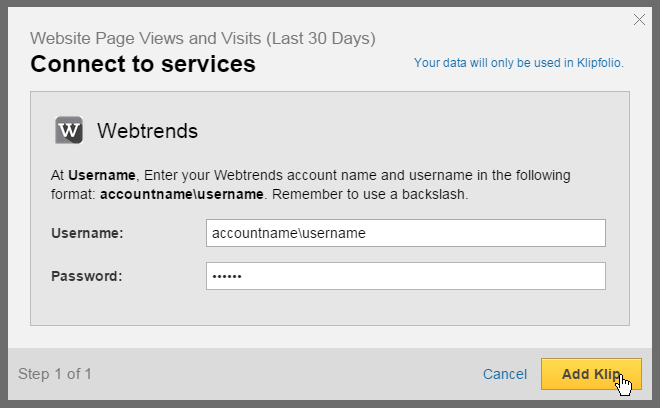 Select a Webtrends Klip from the Gallery. In the Connect to Services popup, enter your username in the following format: accountname\username. Remember to use a backslash.